This issue of Urban Realm is all about expanding horizons as we journey around the globe in search of exemplary projects from which we can draw parallels with work closer to home. The journey begins with a trip to Saudi Arabia and a desert concert venue which proves isolation need be no barrier to design. 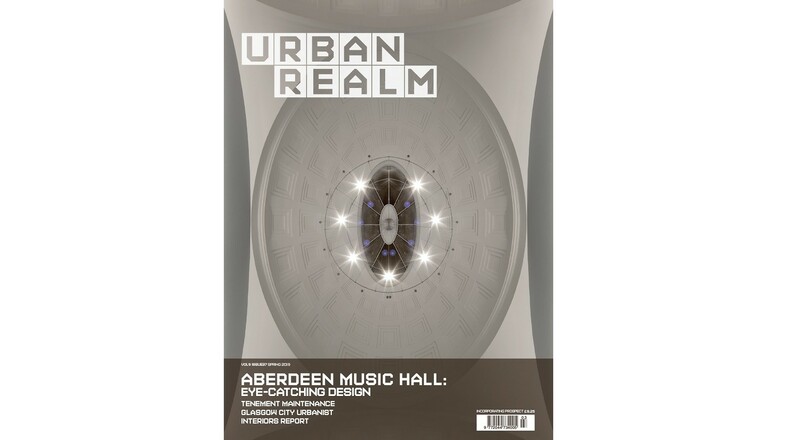 The setting may be radically different, but the same pressures of audience comfort, acoustics and identity can be found at the remodel of Aberdeen Music Hall by BDP. We chat to the team behind it to see what can be achieved on a relatively tight budget. Staying in the Middle East architect Jaromir Gasiorek returns from Turkey to give us the lowdown on how the country is making the best of a bad situation by drawing upon energy efficiency expertise gained in Edinburgh for the restoration of historic buildings amid regional instability. Problems closer to home command the attention of Brian Evans, Glasgow’s newly appointed City Urbanist. We catch up with a look at his vision for an arc of prosperity spanning the River Clyde. For every two steps forward, Glasgow seems to take one step back, as Sean Kinnear finds when paying a visit to Sauchiehall Street. With the once, grand ABC Cinema reduced to a pile of rubble we ask what can be done to stop the rot. 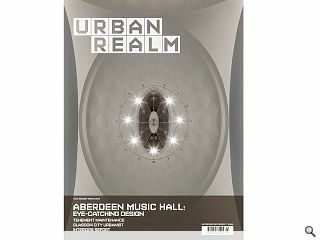 Urban Realm’s spring edition is available to subscribers now.